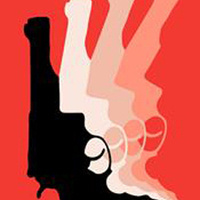 The two-day interdisciplinary research symposium at the University of Rochester, sponsored by the Humanities Center, to examine what guns mean and how guns matter in the contemporary United States. This symposium will use interdisciplinary research and conversation to bring multiple forms of gun-related violence—“active shooter” prevention, “urban violence,” “police brutality”—into the same frame, to better understand how we can define the problem, and how these definitions animate particular solutions. The symposium will bring Rochester-area scholars, practitioners, and activists together with invited scholars in anthropology, public health, sociology, philosophy, women’s studies, and social work to share current research and generate conversation, with a wide focus on discourses of violence, safety, freedom, criminality, and harm; social inequality; disparities in health, economic, and legal outcomes; gun policy; and the social and political contours of data production, reception, and erasure. See the symposium schedule online. The event is free and open to the public. For more information, contact Kathryn.mariner@rochester.edu or Kristin.doughty@rochester.edu.